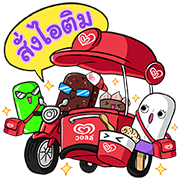 http://www.line-stickers.com/ – Nong Wanyen, Icy Boyz & Friends Line Sticker | Make your chats even happier and cooler with Nong Waanyen and Ice Boy. Friend Wallʹs official account to get this set. 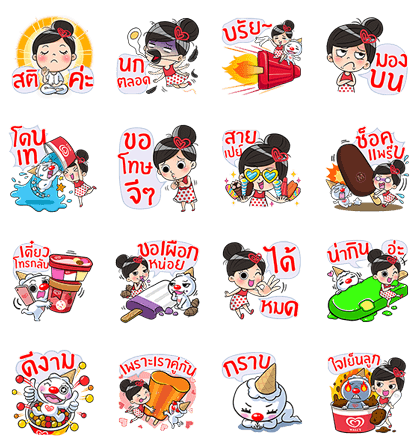 Nong Wanyen & Icy Boy come with new friend “Topten”. Happiness starts now. Chill & enjoy. Friend Wall’s official account to get them. Nong Wanyen & Icy Boy are back. This time with newest Wall’s delivery service. Friend Wall’s official account to get them. 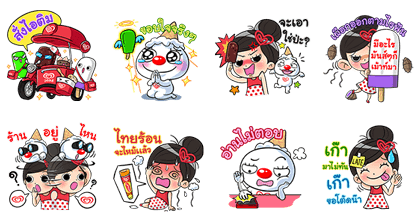 Stay cool with Nong Wanyen and Icy Boy as they return for a set of more fun and happiness. Don’t miss out on your chance! Friend Wall’s official account to get them. Available till March 1, 2017.